PokerStars is a world-famous online casino site with high-end services and offers. The cardroom giant was launched in 2001, and it was purchased by Amaya Gaming group along with Full Tilt Poker in 2014. Through the years they became the number one destination for serious poker players with flawless reputation. As of now, they have over 50 million registered players who can enjoy numerous quality games. PokerStars is mostly known for their wide-ranging poker repertoire, which includes Texas Hold’em, Omaha High, Omaha Hi/Lo, 5 Card Omaha, 5 card Omaha Hi/Lo, Courchevel, Courchevel Hi/Lo, Seven Card Stud, Seven Card Stud Hi Lo, Razz, Triple Stud, Five Card Draw, 2-7 Triple Draw, 2-7 Single Draw, Badugi and Mixed Games. Also, they’re the biggest name in online poker tournaments and Live Poker with unbelievably high prize pools and record breaking attendance. The World Championship of Online Poker by PokerStars is regarded as the online equivalent of the World Series of Poker. As of now, there is no bigger poker tourney on the Internet. In every September players from all around the world compete in various poker types, but the brightest shining star of the event is the No Limit Hold’Em. Besides the prize, the winner earns an engraved gold bracelet from PokerStars. Blackjack enthusiasts can indulge in a number of single and multi-player games at PokerStars’ casino section. Their titles include Classic Blackjack, Atlantic City Blackjack, European Blackjack, Premium Atlantic City Blackjack, Premium Blackjack, Double Deck Atlantic City Blackjack and Double Deck Blackjack. For an intensified 21 experience they should join the Live Blackjack table. Through the world-class software of PokerStars players can enjoy the smoothest game-play possible on all devices with more than 15 languages. New members can start playing after a simple download process. The appearance of the client is customizable, which means that casino enthusiasts can change the table and felt colours with a few clicks. 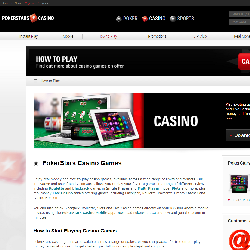 PokerStars has a variety of generous promotion such as a USD 600 First Deposit Bonus and free cash bonuses. Their VIP Club is amongst the most rewarding online programs with countless benefits. First and foremost, PokerStars works with an in-house software which is available to download on all operating systems and platforms. They are constantly developing the application in order to offer the best gameplay in the business. However, the casino section is strengthened with the games of Playtech, Microgaming, NYX, Leander Gaming, Push Gaming, iSoftBet, and a few more studios. After downloading the PokerStars software, players can select from the impressive blackjack titles offered by PokerStars. The games are available in single player, multiplayer and Live version. Their list of variants includes popular 21 types like Classic Blackjack, European Blackjack, Double Deck Blackjack, Atlantic City Blackjack and Premium Blackjack. At the Live Blackjack table, players can enjoy this game with real dealers in real time. 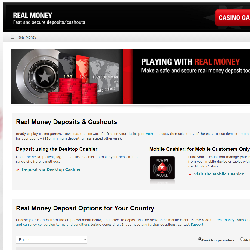 PokerStars’ Casino department offers roulette, slots, blackjack and baccarat. Roulette players can check out their European style standard and Double Ball tables. The Live Version of the game is also available. Slot enthusiasts can choose from a vast selection of classic titles with special features. The immaculate reputation of PokerStars is greatly deserved as their site comes with the highest quality games and offers. Players can enjoy single player, multiplayer and live games with superb design and customizable theme. The PokerStars software is really compact and handy, available on both desktop and mobile devices. PokerStars is always willing to please their existing and new players with some generous bonuses. Their superb First Deposit Bonus is 200% up to $400. Unlock it with the ‘CASINO’ bonus code! The PokerStars Mobile Poker App is available for iPhones iPads and Android devices.Through their PokerStars TV App players can check out the newest poker videos and streams amongst other exciting content. The PokerStars Clock App is a tournament manager which can make your pro-life much easier. PokerStars offers many games in Live version with gorgeous Live Dealers in a high-quality setting. They’re famous for their live poker tours and other live cardrooms.